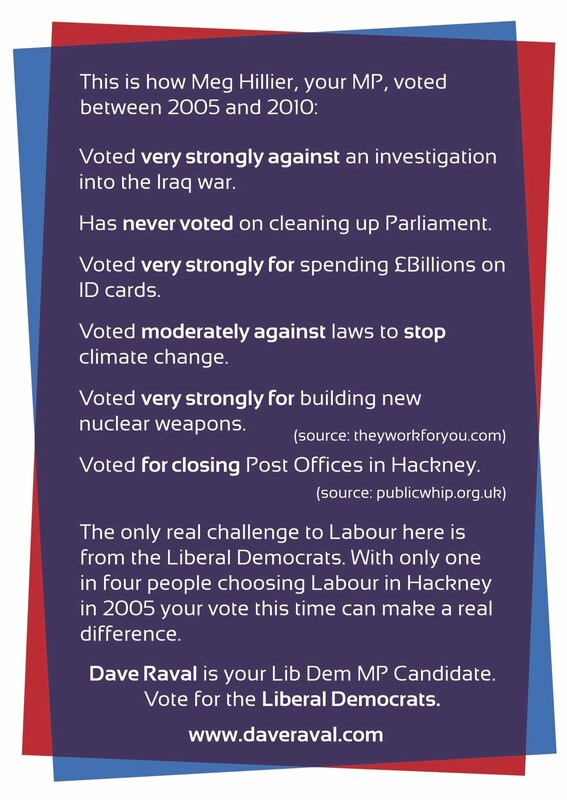 THIS IS THE FIRST PUBLIC showing of the attack leaflet from the Liberal Democrat candidate for Hackney South and Shoreditch Dave Raval. It is about to rattle letter flaps throughout Dalston. 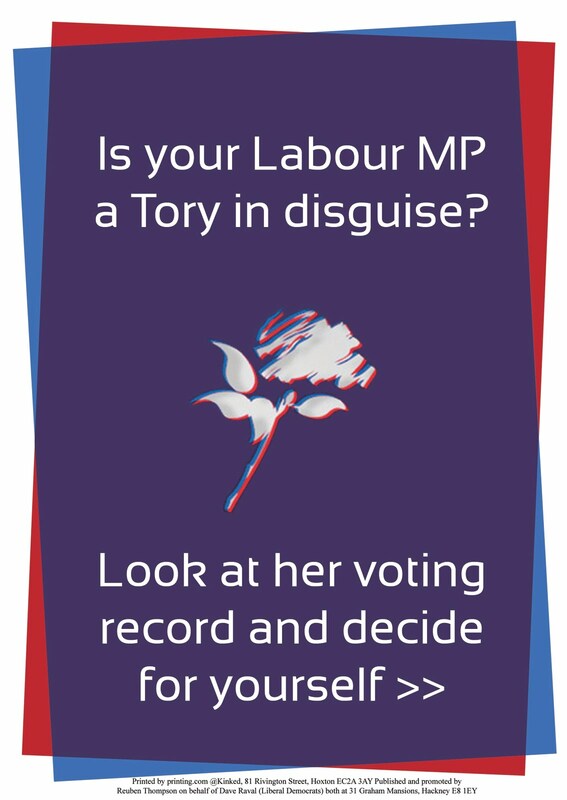 The LibDems must be patting themselves on the back for using Tory blue on the flyer, but isn’t it a little strange when the TV triumph of leader Jim Carrey — whoops, Nick Clegg — has made yellow the colour of the day? Loving Dalston predicts that the flyer will not rattle the re-standing MP, Meg Hillier, with her good majority, although it might make Hackney’s other re-stander (or should that be re-sitter?) Diane Abbott chuckle; the Labour colleagues don’t belong to the same knitting club. With other Hackney North and Stoke Newington candidates, Abbott is due to attend a green hustings today Tues 27 April at 7pm: Millfields Community School, which is off Lower Clapton Road. At the last election Labour won 26% of the vote and in second place came the LibDems (11%). The real winners were the ignorami: non-voters totalled 50%. Some internet polls for the 6 May 2010 election put Angus ahead of Abbott. Are the movies calling for you?